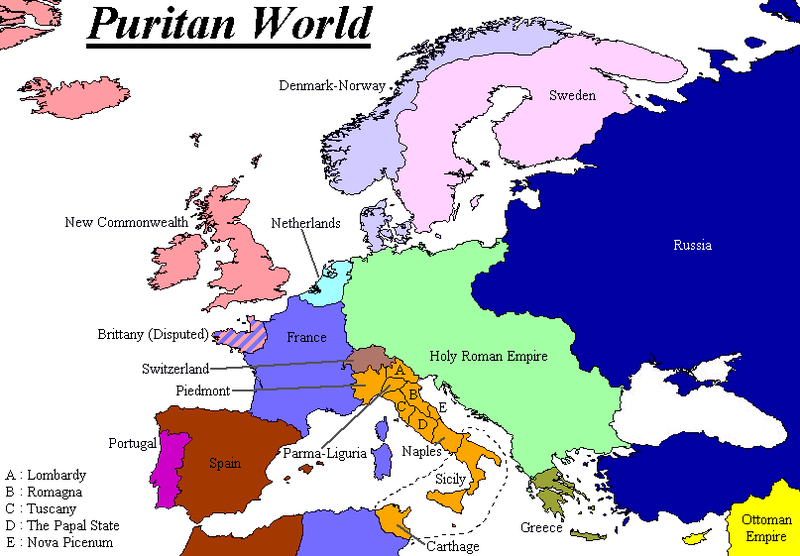 The major powers of the world are the New Commonwealth, France, the Holy Roman Empire and the Netherlands. The last three of these all have large colonies in Africa, India and the Far East and, with no strong Britain, remain major sea powers. 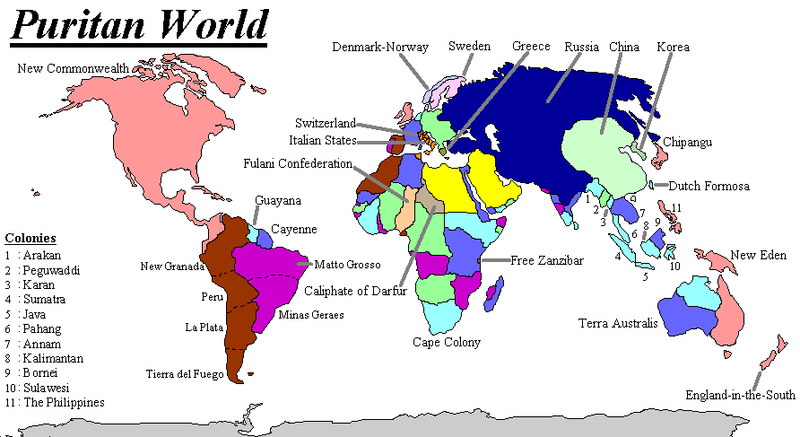 Spain (which retains its South American colonies), Portugal (which retains Brazil and its African colonies), Sweden and Russia are lesser powers. Italy is still divided into many small competing states.